A maximum distance driver that is slightly overstable. It is controllable and can hold a line in wind. Great distance. 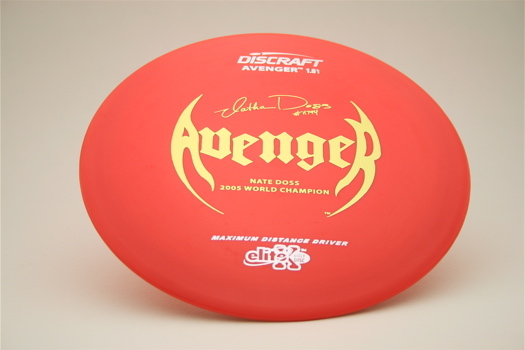 I started with an Avenger SS and migrated to the Avenger. When I throw it with a little anhyzer I get a good line and great distance. This disc is available in Elite X @ $10, Elite Z @ $13, and Esp @ $15.